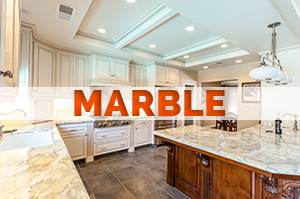 Affordable Granite and Quartz Countertops in College Park, Maryland. College Park is a city in Prince George’s County with a 2014 population of 32,256. As befitting its name, it is most associated with the University of Maryland (zip code 20742). However it is also the site of the US National Archives “Archives II” facility since 1994. It is also where you can find the National Oceanic and Atmospheric Administration Center for Weather and Climate Prediction. Its total area is 5.68 square miles. College Park was founded in 1856, but its development really began in 1889. At that time, the University of Maryland was just a college (Maryland Agricultural College) and the city was a Baltimore and Ohio Railroad college station stop. It became a suburb in 1945, and included the original College Park (just 125 acres), Lakeland (developed in 1892), Oak Spring, Hollywood (developed early 1900s), Berwyn (developed in 1885), Daniel’s Park (developed in 1905), and Branchville. Once residential development got started, it continued rapidly, and by the 1920s, commercial development was underway as well with the introduction of automobiles and growth of the college campus. College Park got its municipal center in 1959. Development continued steadily, and by the 2000s, the residents and students began clamoring for more municipal amenities. Many initiatives were begin such as the East Campus Redevelopment, and the construction of Northgate Condos and University View. By 2010, the area was bristling with new construction, including more residential apartments and condos, and parking lots. Much of the attractions in College Park centers on catering to the needs of its many students and residents. These include a diverse selection of restaurants, shops, and recreation. However, it is not a college town for nothing. Among the top attractions for many visitors is The Art Gallery at the University of Maryland, the College Park Aviation Museum, and the National Museum of Language. Add to that numerous parks and historic buildings, and it is an education in itself to visit and live in College Park. The client owns several condo units in College Park, and rents them out to students at the University of Maryland. He had received a request from a prospective client for a unit with a “fully functional” kitchen. The would-be tenant was going to pursue a course in dietetics, and anticipated needing a large kitchen in which to practice. The client was not willing to put in stainless steel counters in the kitchen of one of his units because it would be against building regulations. He compromised by offering to replace the kitchen countertops with non-reactive and durable quartz stone. He contacted us for a quote. The client was not available for a personal interview, but we were able to establish some sort of communication by using video chat software when we arrived at the unit. We were let in by the building manager at the request of the client. The kitchen was Pullman style, so the counters were along one long wall. The existing counters were ceramic tile, which would have to be removed completely to accommodate the quartz stone. The cabinets were in the traditional style in distressed maple. We asked the client what color he wanted for the counters, and he asked us to simply “use our best judgement. We suggested Zodiaq by DuPont because it was GREENGUARD Certified® and frequently used in clinical setting, and gave him an initial quote. We also advised him that it would take two to four weeks to get the slabs to the warehouse. The client agreed to the terms and sent an electronic check for the deposit that same day. We chose Zodiaq Snow White for the counters. It seemed the best choice for the look of the kitchen and the purpose for which it was intended. They sent the slabs over after two weeks, at which time the fabricator had already made the templates. Since the unit was currently unoccupied, we went ahead and removed the ceramic tiles in preparation for the new counters. Zodiaq stone is extremely hard and tended to be brittle, so it needed to be carefully cut and transported to avoid damaging it, especially around the cutouts. Finally, it was ready for installation, which took just half a day. Since it was quartz stone, there was no need to polish or seal it, and we informed the client that the kitchen was ready for the new tenant. The client finally took the trouble to physically check the finished counters, and called us to marvel at how the counters seemed to shimmer. We explained that this was a distinctive feature Zodiaq quartz, and he praised us for our choice, which was exactly what he wanted. It was definitely a relief that we were able to gauge the needs of the client to a nicety. There is always a danger of miscommunication when the client does not personally choose the stones, and that would be a costly mistake. Of course, the client had given us carte blanche, so we would not be required to make adjustments. However, we are not willing to have even one dissatisfied customer, so we would still feel responsible. KNC Granite works with the best in the quartz manufacturing business, and have an intimate knowledge of the best features of each one. This knowledge came in handy when the client in this project asked us to use our best judgement, and we did! Quartz stone is definitely a great choice for kitchen countertops because they are durable and functional. In some cases, such as this one where functionality is the most important aspect, it is the best choice. Some clients, however, prefer natural stones because of their unique beauty, which quartz stones can simulate only to a certain degree. It all depends on what the client wants and needs. If you have special needs for your kitchen countertops, don’t hesitate to give us a call. We at KNC Granite can definitely point you in the right direction. Contact us for a free quote. You have nothing to lose and everything to gain!